This was part of a NAVTEX receiver experiment. NAVTEX signals are around 490 and 518 Khz so I first built an PLL oscilator for those frequencies (for a DC receiver) but the PLL never worked like I wished so the idea was first to make the conversion to 4Mhz and then built a direct receiver around that frequency. 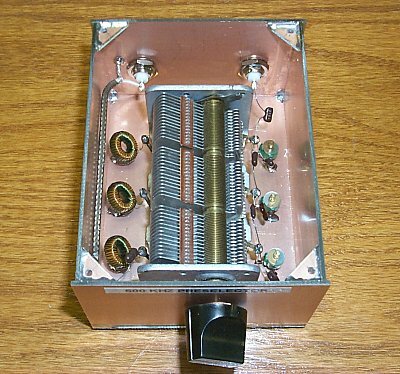 The 500 - 515 kHz preselector described here was built for use ahead of the station receivers at WE2XGR/2 - primarily to reduce mixing/intermodulation products from AM broadcast stations.